During the fall of 2015 and spring 2016, we started developing a full IRB approved grant to look at the potential benefits BeetELITE oral nitrate supplementation would have lactate threshold, functional power, the ability sustain high intensity interval training (HIIT) in middle age cyclists (Ages 30-55 yrs old). Preliminary data in our lab showed an enhanced ability to sustain repeatable power during high intensity intervals, quicker rest interval recovery (skeletal muscle regional re-oxygenation levels back to baseline), and improved maintenance of cadence during each HIIT interval at workloads 50% greater than a riders functional threshold (i.e., Functional Threshold Power = 300 watts setting the HIIT interval to 450 watts for 75-seconds). 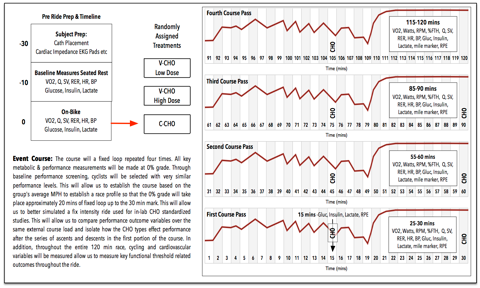 In our preliminary data results, one can see in the sample figure below from one of our proof of concept study participants, that this subject was able to better maintain his over-all pace while using BeetELITE three days prior to testing and on the day of testing using a double blind placebo cross-over controlled design. 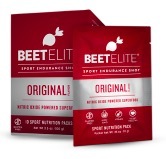 As a result, we are now looking HEALTHY TRAINED MALE CYCLIST OR TRIATHLETES BETWEEN THE AGES OF 30 AND 55 YEARS OLD WITH NO MAJOR RISK FACTORS FOR CARDIOVASCULAR DISEASE ARE NEEDED TO PARTICIPATE IN AN IRB APPROVED STUDY TO DETERMINE THE POTENTIAL CYCLING PERFORMANCE BENEFITS OF CONSUMING AN OVER-THE-COUNTER NITRATE SUPPLEMENT CALLED BEETELITE. Participants in this study will be required to complete medical clearance forms, a body composition profile, and determination of current maximal aerobic capacity test to verify current training status. If qualified to enter the study, each subject will be required to complete 6 additional test sessions over a 3 week period. These tests include a measure of each subject's blood lactate threshold and metabolic efficiency, functional threshold, and a high intensity interval training day with and without the BeetElite supplementation. Each testing day is approximately 60-90 mins long. All testing will take place at ENLLC clinical research lab in Lisle, IL. Upon completion of all aspects of the study, you will receive a copy of your test results, a cycling performance power analysis profile, and $250.00 cash or the equivalent value in Garmin fitness product incentives. For more information, click here. As a result, we are currently do a full IRB approved study looking at the benefits of ATP oral loading and acute supplementation on cycling sprint performance. To take part in this study, you need to be a HEALTHY TRAINED MALE CYCLIST OR TRIATHLETE BETWEEN THE AGES OF 18 AND 35 YEARS OLD WITH NO MAJOR RISK FACTORS FOR CARDIOVASCULAR DISEASE. Participants in this study will be required to complete medical clearance forms, a body composition profile, and determination of each person's current maximal aerobic capacity test to verify current training status. If qualified to enter the study, each subject will be required to complete 2 additional test sessions over a 3 week period. Each day you will be asked to complete a maximal spring power test using a standardized Wingate cycling protocol on your own and our specialized Cyclus2 lab ergometer. Each testing day is approximately 60-90 mins long. All testing will take place at ENLLC clinical research lab in Lisle, IL. Upon completion of the study, you will receive a copy of your test results and a cycling performance power analysis profile based on all testing performed. Subjects will also be able receive 25% discounts on future ENLLC testing and study related 25% cost reduction incentives for Garmin cycling products. For more information, click here. 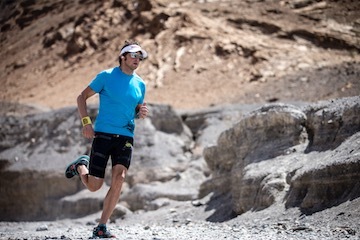 high intensity and/or high volume endurance training has been shown to compromise immune function, the founds of Vector 450 are planning a doubly-blinded clinic trial later this year and next. ENLLC has been asked to test out several over-reaching and treatment protocol options for the clinical trial. Thus, we are now in process of testing several runners in our lab. Over the last year, Exercising Nutritionally has been using FIRSTBEAT Technologies in both their preventive health wellness research and wellness assessments before and after our clinical interventions.                                                                                                                                                                                                                                                                     FIRSTBEAT is a leading provider of physiological analysts for sports, fitness and wellbeing. Their technology takes heartbeat data into rich, personalized and actionable insights for improving a person's exercise routines, improving how a person controls and responds to daily life's stress, and helps improve a person's sleep and recovery profile. FIRSTBEAT is a company rich in research with a strong background in exercise and physiological sciences. They have through years of research developed analytical models that create a digital model of a user's physiology through advanced modeling of heart function and heart rate variability. FIRSTBEAT was founded 2002 using a multidisciplinary research based including physiology, mathematical modeling, and behavioral research. Since its foundation, FIRSTBEAT has developed heart beat based models that allows increased accuracy in real-life measurements wherein it is not possible or practical to use laboratory equipment in the field. 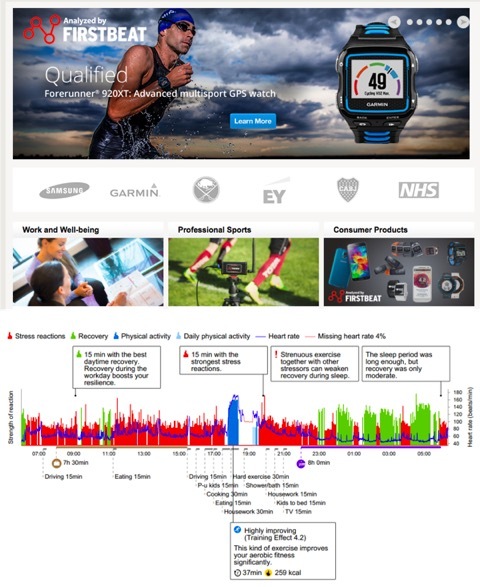 Their technologies have been present in sport performance analysis since 2004 through a collaboration with Suunto corporation. In 2006, sport specific software was introduced and is used in over 200 professional teams to help enhance their athletes' performance in football (Soccer), ice hockey, motor sports, basketball, tennis, skiing, rugby, golf, swimming, skating, sailing, and rowing. In addition to using FIRSTBEAT technologies in ENLLC's wellness and preventive health research, Dr. Craig Broeder is personally using FIRSTBEAT heart beat technologies to document and track his own cycle training as he prepares to ride around the outer perimeter of US (western, southern, and eastern borders) and up into and across Canada to be the first person to cycle 15,000 miles in 120 days with a on road riding average 125 miles per riding day. FIRSTBEAT technologies will be used to identify rest days and when the ride stress have exceeded Dr. Broeder to properly recovery with a single night's sleep throughout the record attempt so he can successfully complete his goal to raise funds for his American College of Sports Medicine Female Cancer Foundation (The Kay and Craig Broeder Preventive Cancer Fund) with his epic ride attempt. We are happy to announce that starting 8/27/2014, through the efforts Marc Pelletier, Hexoskin's Marketing Manager, we are officially starting the collaboration process. Over the next couple of months, we will be testing Hexoskin Wearable Body Metric Clothing. Our goal is to help Hexoskin develop and identify new avenues of product use in preventive health and sports performance monitoring with a special emphasis on the prevention of over-training syndrome in national class youth tennis players. At the same time, Dr. Broeder will be personally testing out the wearable clothing as he trains for his potential Guinnes World Record Perimeter Cycle Event to raise ovarian cancer research dollars in 2016 for the Kay and Craig Broeder Preventive Health Fund managed by the American College of Sports Medicine. 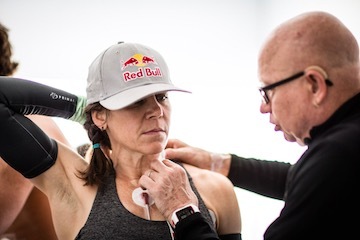 Alex Hutchinson, from OUTSIDE Magazine, recently wrote an incredible article about our Red Bull Pushing The Limits of Endurance High Performance event in Santa Monica California this past May. Alex captures the event perfectly. His ability to describe clearly the science in terms everyone can understand is nothing short of amazing. He is a very gifted science-performance writer. ENJOY the article and share with your friends (Link to online version of the article). Red Bull’s Project Endurance 2.0 (RBPE) - Integrative Scientific Strategies For Enhancing Human Athletic Potential: Craig E. Broeder, FACSM1, Dylan J. Edwards2, David Putrino2, Mar Cortes2, Holden MacRae3, Dan Turner4, Per Lundstam4. 1Exercising Nutritionally, LLC, Lisle, IL. 2Burke-Cornell Medical Research Institute, White Plains, NY. 3Pepperdine University, Malibu, CA. 4Red Bull North America, Santa Monica, CA. 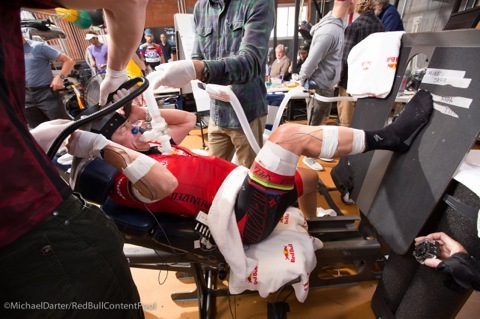 Reduced Corticospinal Inhibition Following Fatiguing Exercise in Professional Cyclist: Dylan J. Edwards1, David Putrino1, Mar Cortes1, Richard Kirby2, Craig E. Broeder, FACSM3, Red Bull Scientific Team2, Per Lundstam2. 1Burke-Cornell Medical Research Institute, White Plains, NY. 2Red Bull North America, Santa Monica, CA. 3Exercising Nutritionally, LLC, Naperville, IL. May of this year 2014, Craig Broeder, Ph.D of Exercising Nutritionally, LLC was invited to be one 17 internationally recognized sports performance scientists to assist neuroscientists from Cornell and Burke University in collecting data in helping us understand how the brain of an elite athlete works during maximal resistance and endurance exercise. We were specifically looking at the neuro-physiological response to brain stimulation (trans-cranial magnetic stimulation) in an effort to further understand why athletes stop or slow down. If the brain is stimulated in the right way can an athlete go further during training? 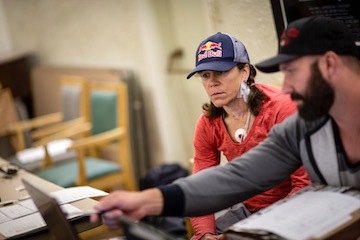 Triathlete Jesse Thomas, endurance mountain biker Rebecca Rusch, cyclocross rider Tim Johnson and BMX racer Mike Day were subjected to the testing. Red Bull has posted a very cool video and write-up about the event. Here is the link to this unbelievable event. We are currently write-up the event reports and working on abstracts for possible data presentation at 2014 ACSM's integrative physiology meeting coming up this September in Miami, FL. Thomas was kind enough to provide us a first hand account from Project Endurance. I got a call from Per Lundstam, manager of the Red Bull High Performance Group. He asked if I’d be cool coming down to Red Bull Headquarters to do some performance testing and something about brain monitoring with Cornell University researchers. 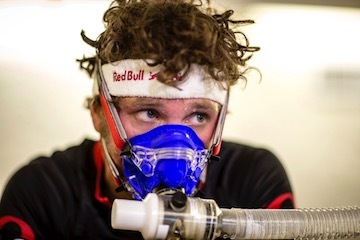 As a brand new Red Bull athlete, I had no idea what to expect. But it sounded fun, so I agreed. 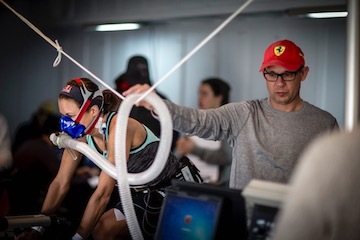 What I came to find out is that this is what the Red Bull High Performance team does -- they bring together athletes from different disciplines so that we can test our own limits while learning from each other and gaining new perspectives. 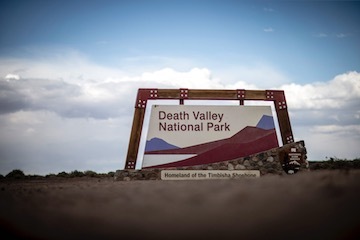 They also mix in some unexpected trainers and/or experiences – sometimes athletes work with musicians, explorers, military members, spiritual leaders and others all in an effort to help boost an athlete’s performance through unconventional training. Fun is one way to put what I experienced in my week, but I could also call it intense, painful, limit pushing, and shocking...literally. Sweat was every where with world class athletes reaching for their limits. Physically and mentally, this was one of most stressful training experiences I’ve ever had. As a long course triathlete, I obviously do a lot of exercise, and the total time spent here was way less than my typical week. But, the intensity level was out of this world. My typical race is two-to-four hours, so doing six all-out 5 minute time trials in four days was a huge shock to the system. But I was stoked to see gradual improvement over the week and on the velodrome as my body and mind adapted to the effort level in spite of the fatigue. Who knows, maybe the brain frying worked. Rebecca Rush giving maximal isometric force efforts. If you ever wondered how you stack up to an elite triathlete in cycling performance, here is Jesse Thomas’s data currently ranked 3rd in world in the 70.3 Ironman distance. The figure is his day 3 effort for a 4k TT. 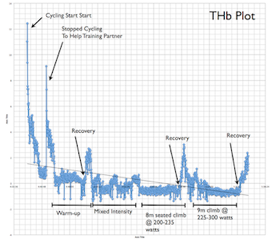 On each day prior to this 4k TT effort, Jesse completed 2 hrs of intense exhausting exercise including cycling at 70-90% of max watts and 30 isometric single leg max force efforts with and without transcranial brain stimulation (TMS). For most people, this would break each and everyone of us. But, what makes a world-class athlete world-class, such training challenges lead to adaptations quickly when us mortals would be breaking half through the first day! Day 1 - 468 watt average (29.2 mph); Day 2 - 494 watt average (29.8 mph); Day 3 - 500 watt average (30.2 mph). This is how the top triathletes in the world adapts to training challenges!! Be amazed like we all were!! Genr8 is sponsoring a new research project for ENLLC and Northern Illinois University. The project was designed Bill Julian, a graduate student and ENLLC to look at cycling performance benefits of Vitargo®S2 CHO supplementation. Vitargo®S2 is a high molecular weight CHO that has been shown in previous research studies to quickly clear the stomach, digests and gets into the blood stream 2x faster than maltodextrin and sugars. Additionally, Vitargo®S2 has been shown in a recent university study to produce a 1.8 times faster insulin spike compared to other forms of CHO used in sports performance drinks in just 10 mins after 100 grams of Vitargo®S2. This study's finding is important because insulin is the most anabolic hormone in the body and promotes muscle cells to take in glucose, amino acids, and other muscle nutrients. At the same time, insulin is a major anti-catabolic hormone, which shuts off the increase in muscle protein breakdown that follows intense resistance or endurance training. High intensity long-distance road cycling or ironman level triathlon cycling distances are very demanding on the body's skeletal muscle and require proper CHO and amino acid intake pre, during, and post event. The purpose of the Vitargo®S2 project is determine in highly-trained cyclist ages 18-35 yrs old (VO2 max greater 60 mls•kg•min) how Vitargo®S2 CHO consumption during a very intense mountaineous two hour road course time trial (average climb grades between 3-9%) affects cycling performance, cardiovascular function, and muscle oxygen saturation levels compared to a common standardized low-molecular CHO formulation. Subject recruitment for this project is currently open. If you qualify for the study, you will receive free of charge the following tests: an advanced body composition analysis, a true VO2 max test, a true blood lactate threshold test, a functional threshold test, and comprehensive ride comparison analysis looking at your cycling, cardiovascular, hormonal responses, and muscle oxygenation responses under each experimental condition. The cost of testing, which will free to all qualified cyclists, is valued at approximately $1500.00. If you believe you might be eligible contact us at 630-303-3686 or click here to go to our info request page to email us. ENLLC has partnered in 2013 with the Fortiori Design group that has developed the Moxy Muscle Oxygen Monitor system to measure the oxygen saturation levels of working muscles while athletes train or getting tested in the lab. The Moxy systems provides accurate, real time measurements of oxygen saturation levels for assessing and improving athletic performance. Oxygen usage drives the muscles aerobically and muscle oxygen levels are constantly changing with exercise intensity. Moxy Monitor works by shining near-infrared light into the muscle enabling the Moxy to measure how much of the hemoglobin inside each muscle is saturated with oxygen (hemoglobin changes color depending on whether it is oxygenated). Fortiori Design has developed a comprehensive algorithm that quantifies muscle oxygenation based on the light received back into the sensor. 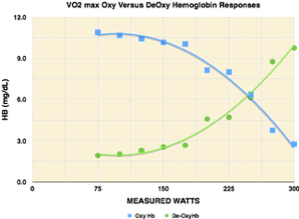 The Moxy sensor analyzes the precise amount of oxygen tied to hemoglobin in the targeted muscle, expressing the result as a percentage of muscle oxygen saturation (SmO2). Once athlete finds his or her steady state SmO2 level for a given muscle, the athlete can monitor changes to SmO2 levels during a workout in real time. 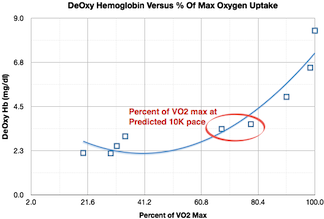 Monitoring the oxygen levels in specific muscles provides a more relevant and scientifically-accurate way to measure your athletic performance relative to key performance markers like lactate, pace, or functional thresholds. 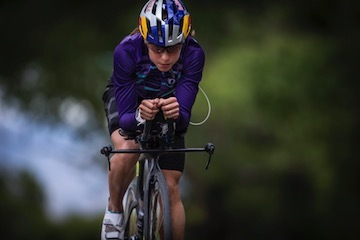 ENLLC is developing various athlete assessment protocols for both cyclists and runners that will allow other researchers and coaches better evaluate their athletes and improve the accuracy of training programs. These protocols will allow all athletes to better understand how to train at just right intensity and more efficiently by monitoring both oxygen desaturation levels during hard intervals by providing a direct muscle measure of oxygen saturation recovery so the next interval's workout needs are met properly. To read more about the MOXY muscle oxygen sensor click here. In 2013, this project was designed to develop a preventive health and physical fitness program in a predominately low income Latino and Black community in North Chicago. The project was developed to initial target high school freshman. The project was funded through grants from Blue-Cross Blue Shield of Illinois, the Baxter Foundation, and the Abbott Fund. Exercising Nutritionally, LLC was given a grant to oversee the data collection for the project looking both the effectiveness of the lifestyle based physical fitness program and enhanced diabetic education program had on both fitness and over-all nutrition learning. 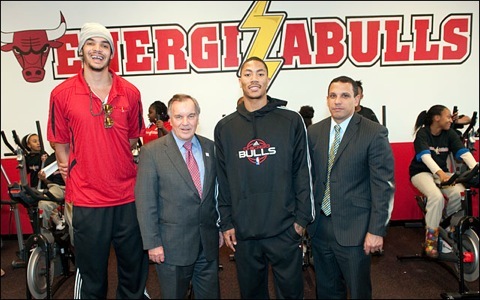 In 2010 under the leadership of Dave Kurland from the Chicago Bulls Non-Profit Foundation, a PEP grant was award for building Chicago Bulls branded fitness centers in Chicago Schools of need. The program focused on developing high quality fitness centers and programs while also providing nutritional education in collaboration with Rush Medical Hospital of Chicago, IL. The program was modeled after the Naperville 203 School System designed by the late Phil Lawler. Mr. Lawler developed one of the best physical education programs in the country and his program was featured in the Oscar nominated documentary "Super Size Me" in 2004 by Morgan Spurlock. Dave Kurland attended high school in Naperville and was inspired to help kids in need from Chicago through the BULLS non-profit foundation community outreach programs. In 2010, Exercising Nutritionally was asked to consult on the project for statistical analyses and helping to develop a research based data collection process for approximately 4,500 students benefiting from the program. In 2011, the Energizabull program officially requested that Exercising Nutritionally, LLC oversee the entire data collection process and assist on writing future grants. The project is currently in the final data collection phase for the 2011-2012 school years across 15 middle schools or after school programs. 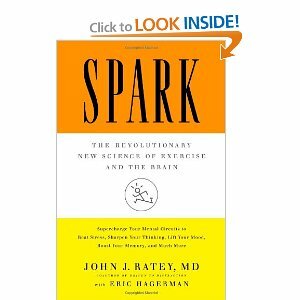 In addition, follow-up data is being collected in the Naperville School system which was presented in 2005 and feature in the book Sparks by John Ratey of Harvard University. PURPOSE: This study’s purpose was to determine the reliability and validity of measuring resting metabolic rate (RMR) with COSMED’s FitMate™ metabolic system using a canopy dilution set-up compared to a previously validated research grade RMR system (COSMED Quark CPET) in 30 healthy adults (Age: 28.4 ± 7.0 yrs, Weight: 79.9 ± 20.2 lbs, Percent Body Fat: 22.5 ± 8.6 %). METHODS: Subjects were randomly assigned to start RMR testing on either the FitMate™ or Quark CPET for four 10-minute measurements (Equaled 20-mins per system tested). Prior to testing, subjects were required to fast 4-hours from food, caffeine, and nicotine. Sujects were not allowed to exercise intensely 12-hrs prior RMR testing. Immediately before the RMR measurements, subjects rested in the supine position for 20-mins in a semi-dark room. Then the ventilatory hood was placed over the subject’s head and they rested an additonal 15 mins accommodating to the hood set-up while both systems were calibrated. Ambient room temperature was kept at 22 ± 1°C. RESULTS: Test-retest intra-class correlations were excellent for all parameters tested (r-value Range: 0.95-0.99, p ≤ 0.0001). There were no significant differences in Ve (Fitmate: 33.0 ± 8.7 liters/min; CPET: 32.8 ± 8.5 liters/min, P = 0.48) RMR (Fitmate: 1771 ± 473 kcals/day; CPET: 1787 ± 402 kcals/day, P = 0.55), VO2 (Fitmate: 255 ± 68 mls; CPET: 260 ± 60 mls, P = 0.17), and heart rate (Fitmate: 62 ± 15 bpm; CPET: 61 ± 14 bpm, P = 0.32) between the two systems. CONCLUSIONS: These results suggest the FitMate™ can be used with canopy dilution for RMR measurements with the same outcome as more expensive laboratory grade equipment. This will aid wellness and health club facilities in offering this type of measurement, which normally could not occur because the cost was prohibitive. In the fall of 2010, Exercising Nutritionally, LLC (EN,LLC) was contracted by Contour Technology, LLC to develop a series of studies to help validate the beneficial effects of electrical muscle stimulation on metabolism at rest and during exercise. In the spring of 2011, EN, LLC received IRB approval for the study and was cleared to begin by LibraMedical an FDA approved clinical trial monitoring company to begin the study. The study was completed the summer of 2011 and the FCC approval claims were awarded fall of 2011. The study results have been accepted for presentation at the 2012 American College of Sports Medicine Meeting in San Francisco, CA. The peer review paper is currently being prepared for submission to the Journal of Strength and Conditioning Research for a March 2012 submission. PURPOSE: Electrical muscle stimulation (EMS) use has shown improvements in muscle strength and endurance. Thus, EMS may have a positive effect on energy expenditure during EMS muscles activation. This study determined the effects of a FDA approved medical grade electrical muscle stimulator system on enhancing energy expenditure at rest in healthy, active adults. METHODS: Thirty-eight subjects (males =19; females =19) participated. Each subject performed the following items: a Block short-form food frequency questionnaire, body composition assessment (Inbody 520), a free-living physical activity assessment (BodyMedia Armband), a maximal aerobic capacity treadmill test (VO2 max), practice resting metabolic rate (RMR) and EMS accommodation training, and two standardized RMR trials with and without Contour MX9 EMS activation. The resting trials with and without EMS were performed in duplicate. The EMS level was set to the strength setting at level 3 (Contraction Phase = 6-sec at 85Hz; Rest Phase = 4-sec at 10hz). RESULTS: Subject characteristics were age (27.9 ± 6.9 yrs), Wt (168.1 ± 37.4 lbs), BodyFat (21.2 ± 8.7% ), VO2 max (44.0 ± 8.3 ml/kg/min), 24-hr energy expenditure (2,881 ± 637 kcal), Daily Steps (10,630 ± 4,687). Test-retest data showed that both the non-EMS (Delta: 1.2%; r-value: 0.93; SEE: 15 kcal; p-value 0.0001) and EMS trials (Delta: 0.8%; r-value: 0.94; SEE: 27 kcal; p-value 0.0001) were highly reliable. In men, EMS activation increased RMR 22% (p=0.001) and HR 13% (p=0.01). In women RMR and HR increased 16% (p = 0.0005) and 14% (p=0.03), respectively. Interestingly, when subjects were divided into low vs high EMS tolerance levels (% of max EMS unit activation output), both groups showed similar increases in RMR (Low = 19% and High = 20%, NS). Abdominal lean muscle mass showed the highest independent correlation to the EMS activation effect for all subjects (r-value: 0.89, p =0.0001). Compared to predicted RMR values, 47% of the subjects had non-EMS RMR values > predicted. In contrast, RMR with EMS, 76% of the subjects exceeded the predicted norm (Chi Square = 9.40, p=0.002). CONCLUSIONS: These results indicate the Contour MX9 EMS system acutely increases a person’s RMR.Future studies need to determine the chronic effects of EMS on muscle metabolism including insulin sensitivity and glucose tolerance. 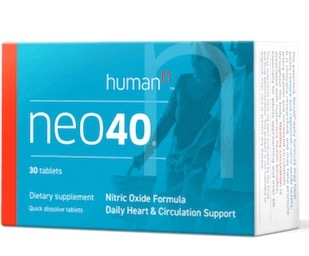 In the fall of 2010, Exercising Nutritionally, LLC (EN,LLC) put a team of researchers together from Northern Illinois University to track 24/7 an elite male 50-60 age category cyclist. The original physiological data was presented at the 2011 American College of Sports Medicine Meeting. In 2012, we are presenting our follow-up hormonal data results as a case study submission at the ACSM annual meeting. Purpose: The aim of this study was to investigate the variation in salivary cortisol during the Ride Across America. Methods: A 51 year old elite endurance cyclist competed in the RAAM ride. Descriptives are provided in Salacinski et al. (2011, MSSE, vol 43, p S536). Saliva was collected with oral swabs throughout two different time periods: 21 awakening and before sleep samples at baseline (4 weeks before race) and 23 samples during the event and before/after periods of rest. Salivary cortisol was analyzed with a Salimetrics immuno-assay and a Biotek plate reader. Results: The subject completed 6 days, 11 hours and 19 minutes of the race before discontinuing. His average speed, including rest stops, was 10.3 mph. His mean power was 199.5 W for days 1&2 and 124 W for days 4&5. The mean cortisol concentration for 7 baseline awakening samples was .71 µg/dL (SD = .09) and before bed was .15 µg/dL (SD = .07). Seven samples were discarded for possible blood and/or sports drink contamination, leaving 16 samples (awakening: M = .35 µg/dL, SD = .23; during-race: M = .64 µg/dL, SD =.16; before bed: M = .51 µg/dL, SD = .05). Saliva pH increased from baseline (M = 7.14, SD = .74) to race time (M = 8.38, SD = .60), while 2.54 kg of fat mass was lost from pre to post race. Conclusion: The subject displayed a normal cortisol production rhythm at baseline; however, race values demonstrate a state of hyper-activation, catabolism, and dysregulation.